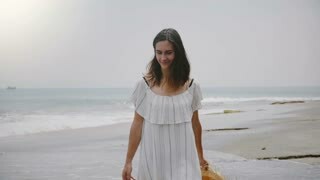 Search Results for "european beach"
Medium shot portrait of young beautiful happy relaxed European tourist woman walking along amazing tropical ocean beach. Happy relaxed little European boy eating dessert with a big spoon in atmospheric evening beach bar with bokeh lights. 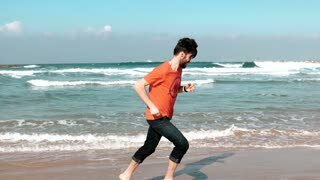 European bearded man running on sea beach. Freedom concept. Male tourist runs barefoot on amazing summer seashore. 4K. Beautiful European woman in sunglasses looks back at camera, turns away on sunny city beach. 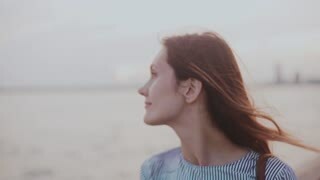 Enjoying summer sunset 4K. 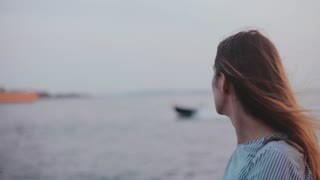 Beautiful European girl with long hair in sunglasses using smartphone shopping online app at New York sunset beach 4K. Sunset in a cloudy and rainy sky over the sea in time-lapse. View of a seahore from a European beach. 4K UHD. AERIAL PANNING RIGHT. Man swimming in sea with sandy beach and European town in background. VERTICAL Aerial. PANNING RIGHT. Man swimming in sea with sandy beach and European town in background. AERIAL MOVING FORWARD. Sunbathers lying on sandy beach with European city on the right. VERTICAL Aerial. MOVING FORWARD. Sunbathers lying on sandy beach with European city on the right.